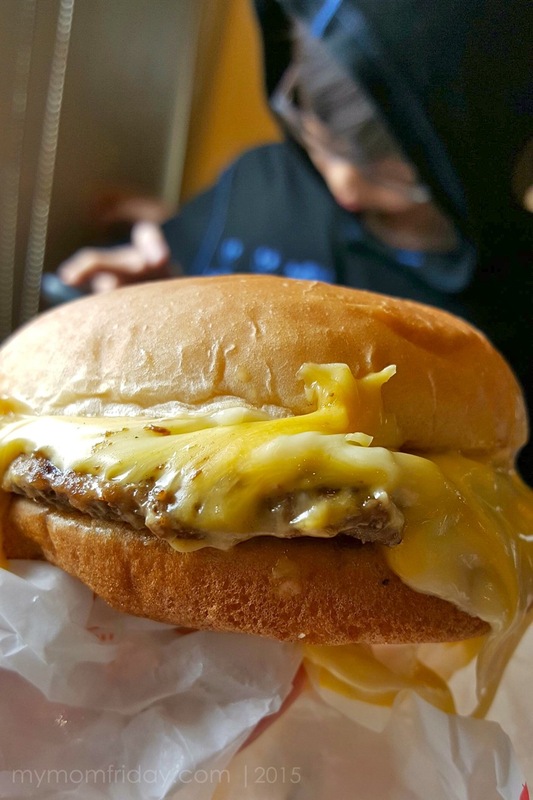 Not all burgers are created equal. In my family, we have our own favorites from each burger shop we dine at. 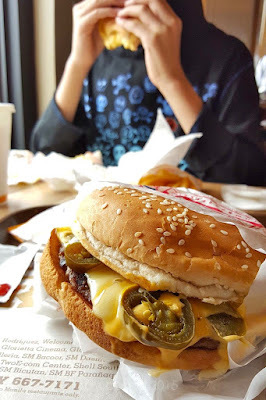 For fast food burger chains, this is the only one that got me hooked on it's unique flame-grilled, cheeeeesy, spicy, juicy whopper of a burger. 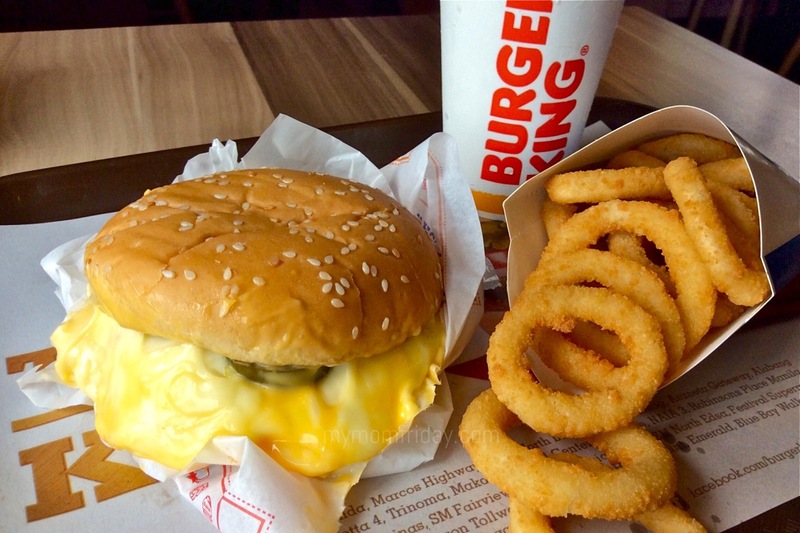 Yep, I'm talking about the one and only king... Burger King! 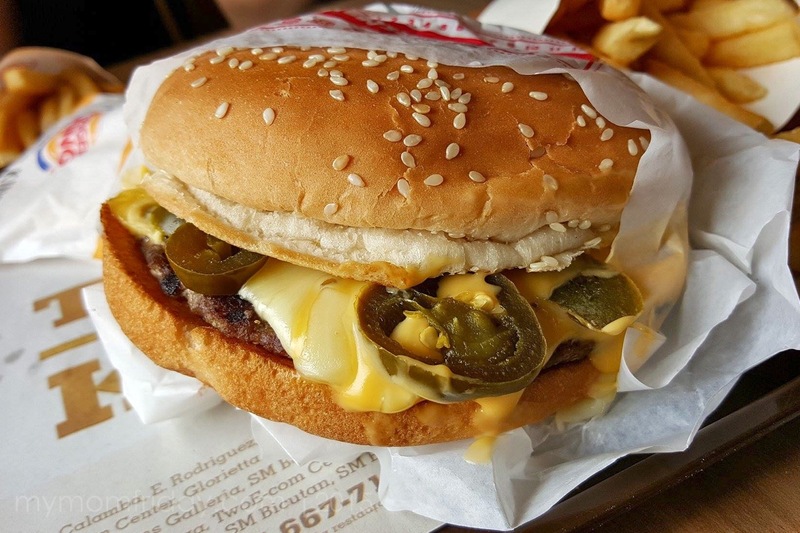 And look, I found a new favorite -- mouth-watering Angry 4-Cheese Whopper!!! 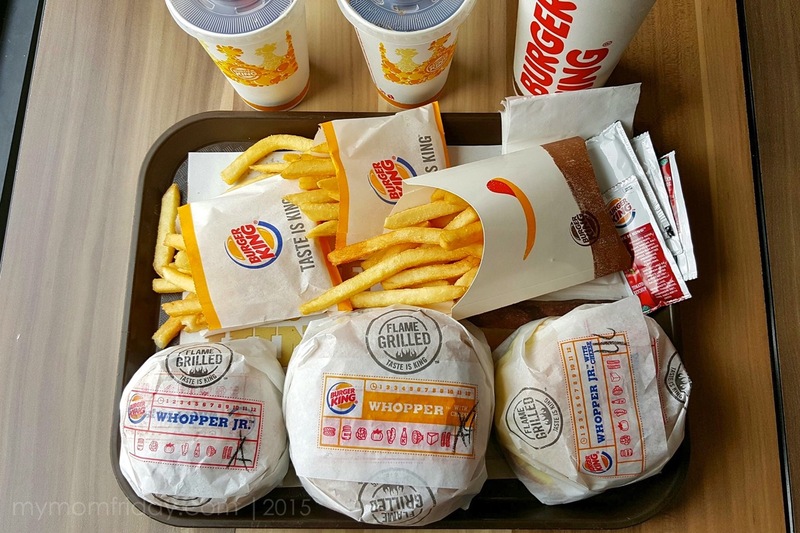 My usual at Burger King is their classic Whopper Jr. set meal. 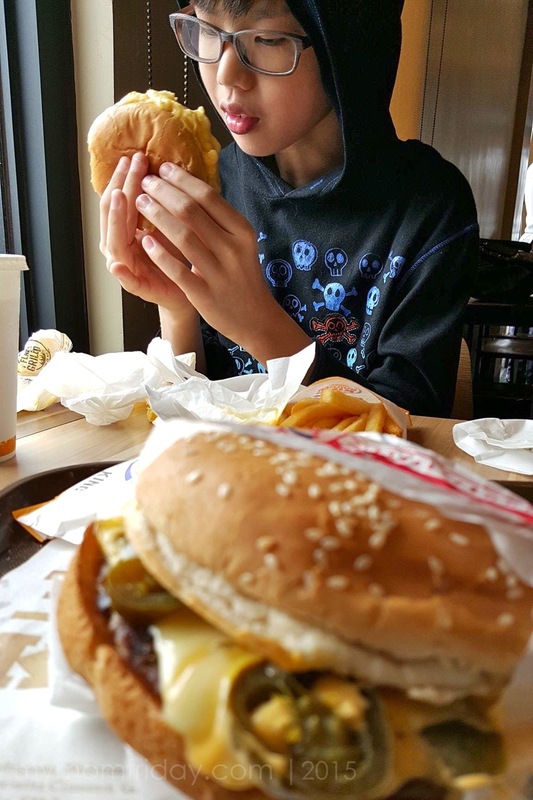 It's just the perfect-sized burger sandwich for a quick bite, with a side of fries and rootbeer. I also order their crunchy Onion Rings and let J and the kids have my fries. I was with my boy for our late lunch after his drums class. While I got the spicy burger, he saw that big sign that shouted 4-Cheese Whopper. He loves his cheese and this was clearly his choice. This was his tray, with my onion rings. :) He doesn't like sesame seeds so he picked out each one as he bit and gobbled his cheesy burger. 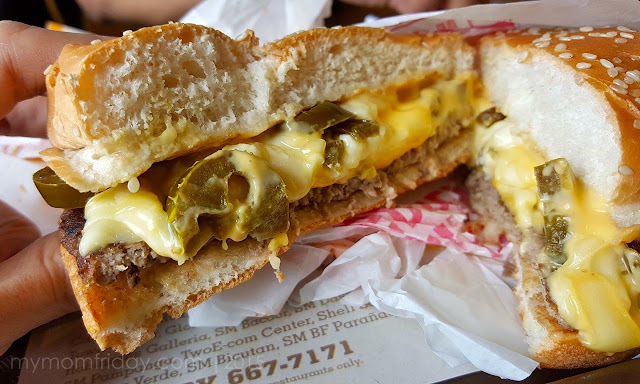 Look at that melted cheese oozing out of the sandwich... hindi na tuloy nakita yung burger patty with the grill marks, heehee! Siyempre, I went for the Angry 4-Cheese Whopper -- regular size this time, with fries and rootbeer, coz this mama was hungry! 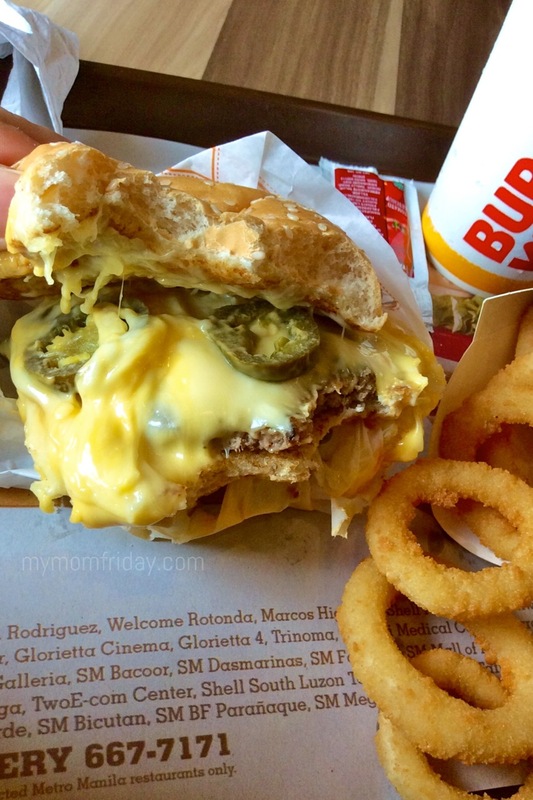 =) Si J nga eh Angry Whopper Jr. lang, hehehe... yes, I eat more than him, all the time! Flame-grilled, big, juicy beef patty, topped with special barbecue sauce, four types of cheese, and slices of jalapeño pepper. 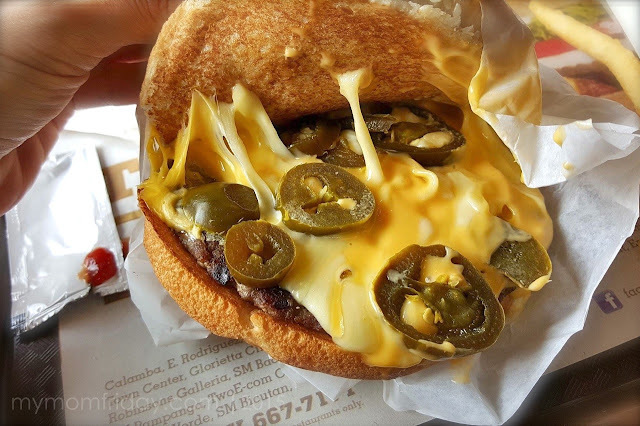 I've always loved the smokey grilled flavor of Burger King, and to top it off, a generous amount of cheese and jalapeños to complete this hunky Angry 4-Cheese Whopper! Ohh-la-la... I'm salivating as I type! 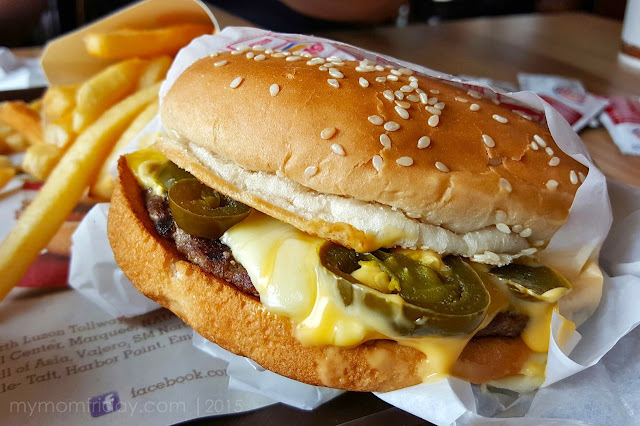 If you love burgers, if you like hot and spicy, cheese or no cheese, then this Burger King ANGRY WHOPPER or ANGRY 4-CHEESE WHOPPER is the bomb!